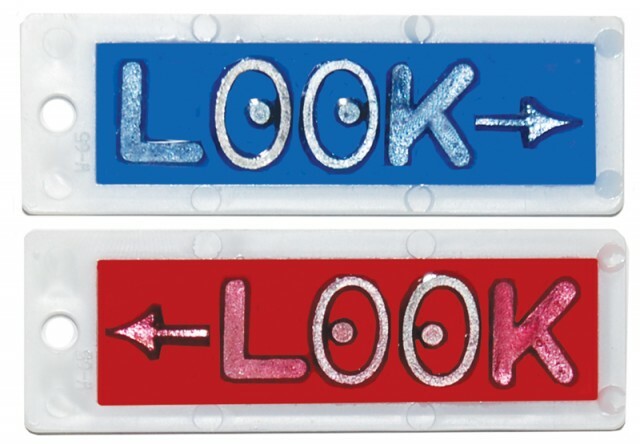 Identifier fun "LOOK" marker has a high impact polystyrene casing. Provides a unique identification with an arrow marker. RED for Right and BLUE for Left identification. Available in a host of other colors as well. Call customer service 1-800-251-2629 for additional information.